User-cen­tered— I explore cus­tomer and mar­ket needs using state-of-the-art meth­ods such as User-Cen­tered Design, Pro­to­type Test­ing or the Jobs-to-Be-Done approach. Sus­tain­able — I empow­er you and your teams to car­ry out inno­va­tion process­es autonomous­ly and suc­cess­ful­ly in the future. Effi­cient — I am fast, prag­mat­ic and use your exist­ing resources and exper­tise. Tai­lor-made — I ana­lyze and eval­u­ate the inno­va­tion poten­tial of your com­pa­ny and the require­ments of the mar­ket envi­ron­ment. I do not apply a “one size fits all” approach. Con­crete — I devel­op mar­ketable prod­ucts and effec­tive process­es with you and for you, instead of build­ing cas­tles in the sky. Goal-ori­ent­ed — I work with mea­sur­able tar­gets and KPI to eval­u­ate suc­cess and progress of our projects. Glob­al net­work — I work with an inter­na­tion­al net­work of experts to pro­vide you with the best pos­si­ble ser­vice and knowl­edge. 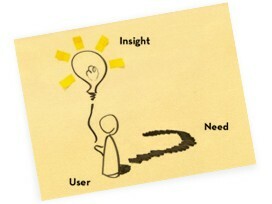 I apply meth­ods such as Design Think­ing, Pro­to­typ­ing or the Jobs-to-Be-Done approach, always focus­ing on user needs. I cre­ate cus­tomized Inno­va­tion Assess­ments that show poten­tial and oppor­tu­ni­ties for growth. I iden­ti­fy new cus­tomer groups and busi­ness areas with you and for you, using meth­ods such as Prod­uct Field, Busi­ness Mod­el Inno­va­tion or Poten­tial- and Mar­ket Analy­sis.